Designed to affix one mast to another of same or different size and OD. 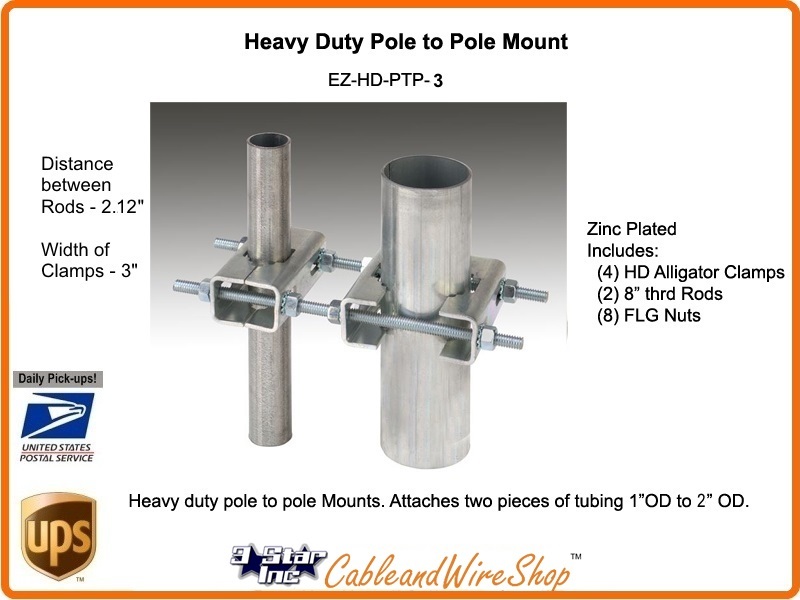 Perfect for utilizing available steel cross-frames and support members to attach a proper antenna mast upon to then properly mount your Wireless internet, HAM, CM, TV, Meteorological, or Business Radio Antenna. Attaches two pieces of tubing 1" OD to 2" OD. Zinc plated. Note: I have used these to affix antenna masts of varying sizes to the steel tubing of parapet walls, fence posts, other mast poles, tower legs and steel framework.